Reading Moominsummer Maddness these days. We laugh at little My. Did you know the Moomintrolls are fuzzy all over? I didn't! How delightful! Well, off to make many pairs of earwires now. 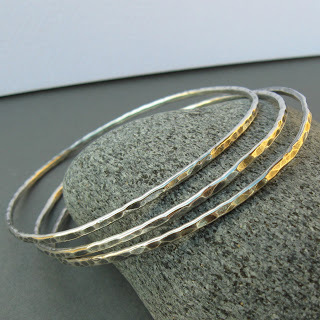 And then fill an order for my '3 beautiful sisters' bangle trio. 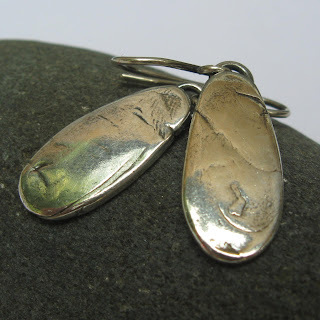 I reworked the satin tab earrings -- I like them with a ring soldered onto the back. I'll post this updated version soon on my Etsy store. Night night. Chickens all tucked in too.